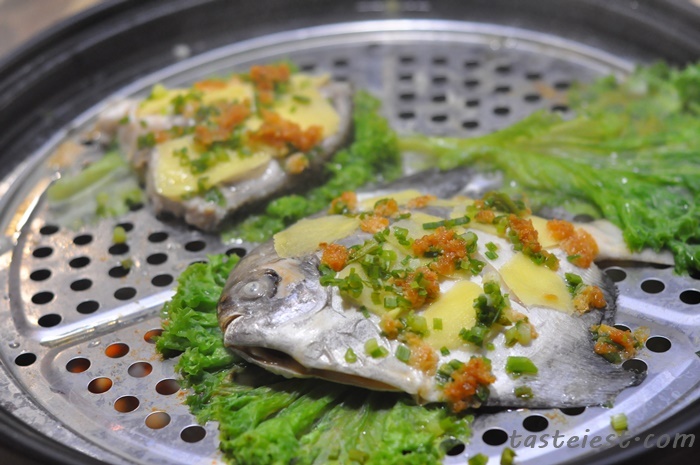 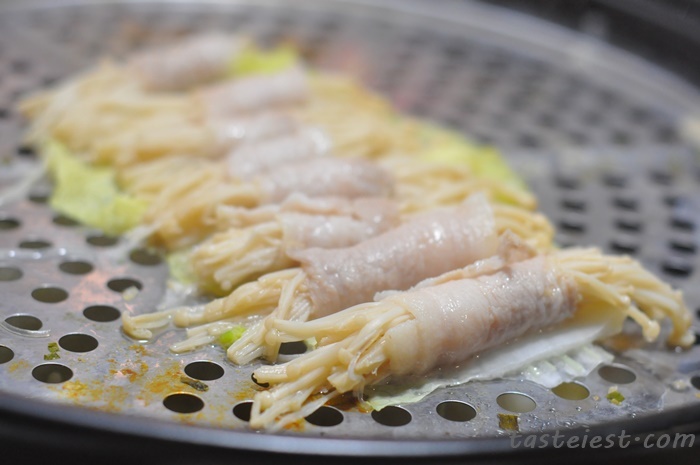 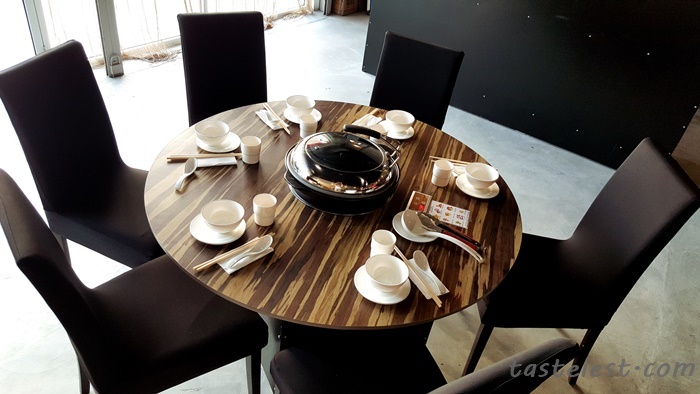 Steamed Hot Pot 蒸味鲜 is a newly open restaurant at Golden Triangle that introduce the new way for cooking. 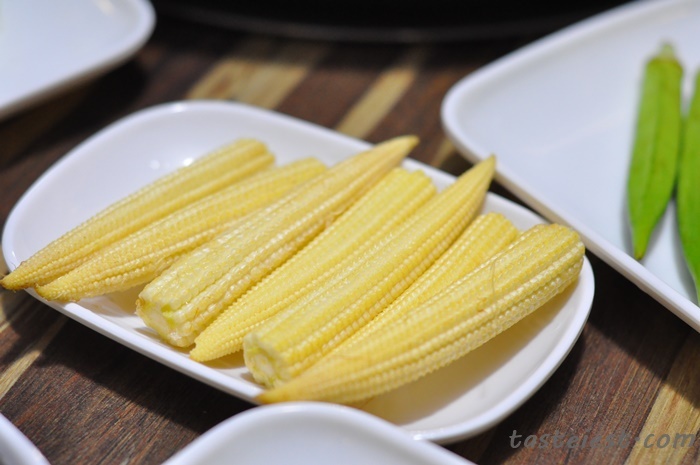 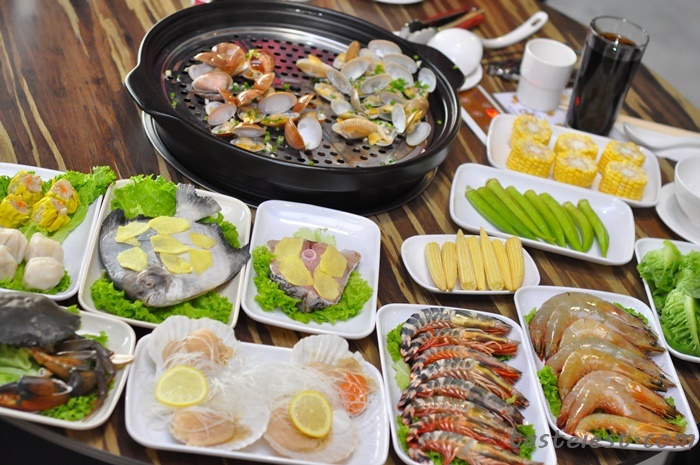 Instead of typical stir fried, BBQ, grilled they cook food with Steamed without any single drop of seasoning or oil. 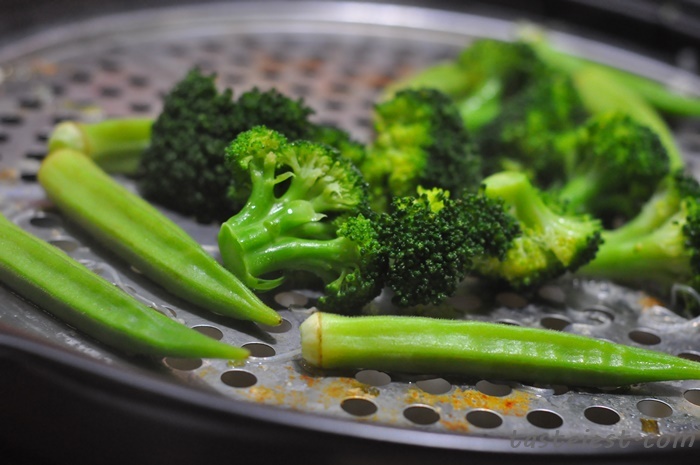 That is the best way to maintain original flavor and keep the food fresh and full of nutritious. 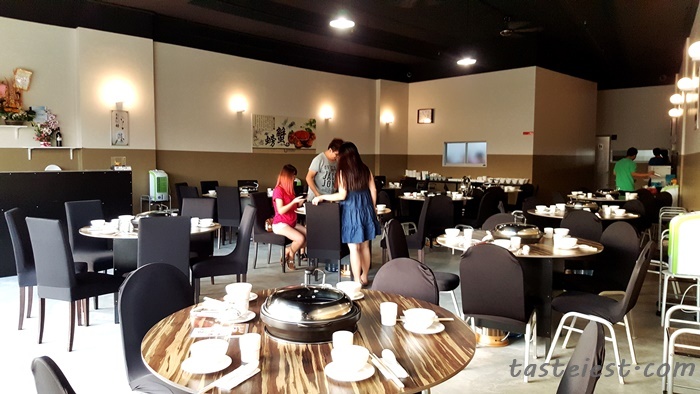 Spaces restaurant with air-con, proper seating area and comfortable. 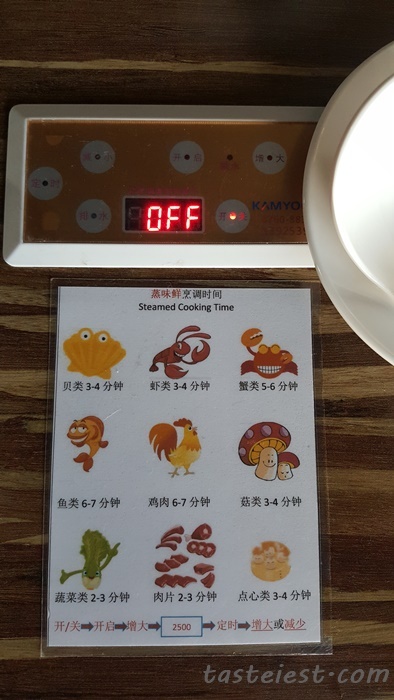 Simple guide on how long different type of food required to steamed. 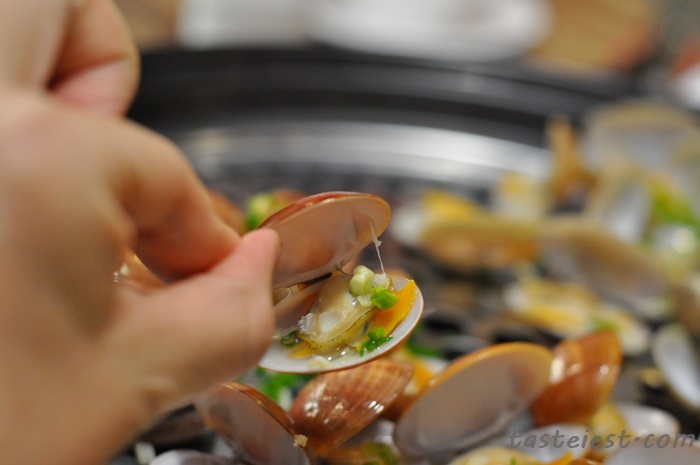 Throughout the whole dinner session waiters helping us to setup and steamed all ingredients, we just focus on eating. 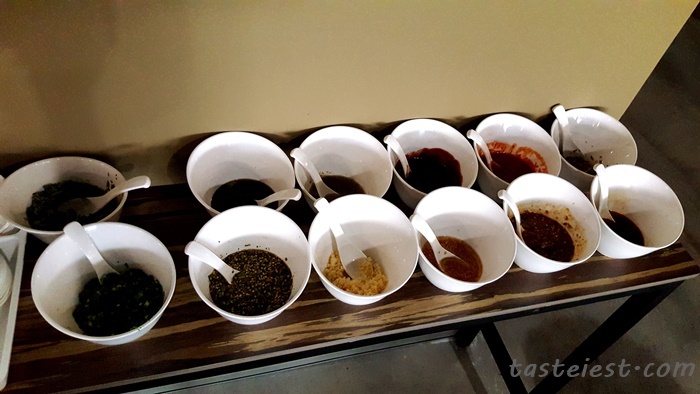 Huge variety of dipping sauce available. 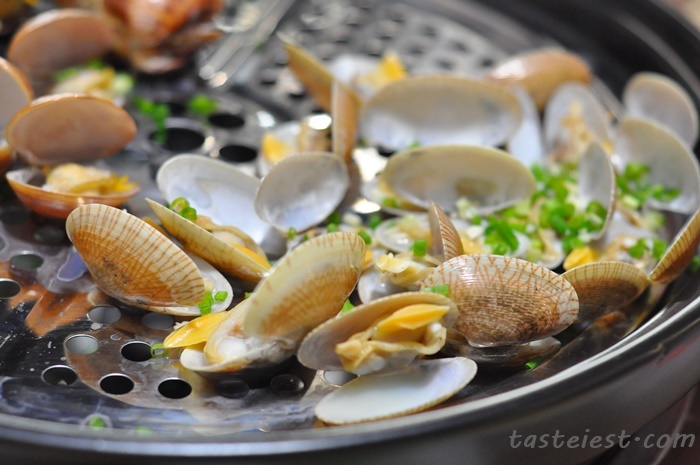 You have to try Lau Kan Ma Sauce which are very famous in China, it can be use as dipping sauce for almost anything. 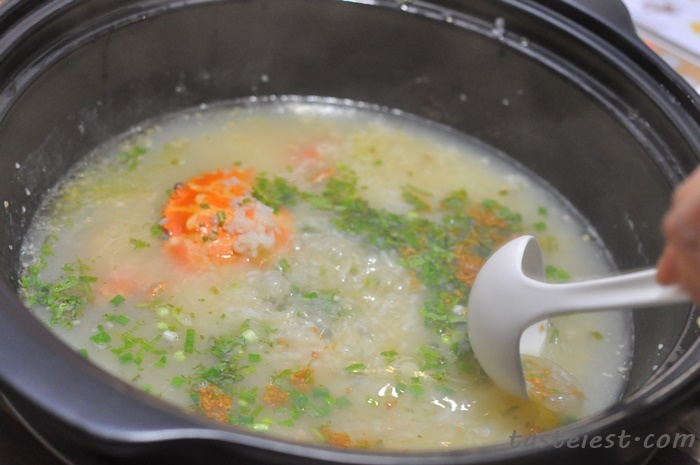 Crab Porridge RM10 each that came with 1 Flower Crab and Rice that cater for the total number of customer. 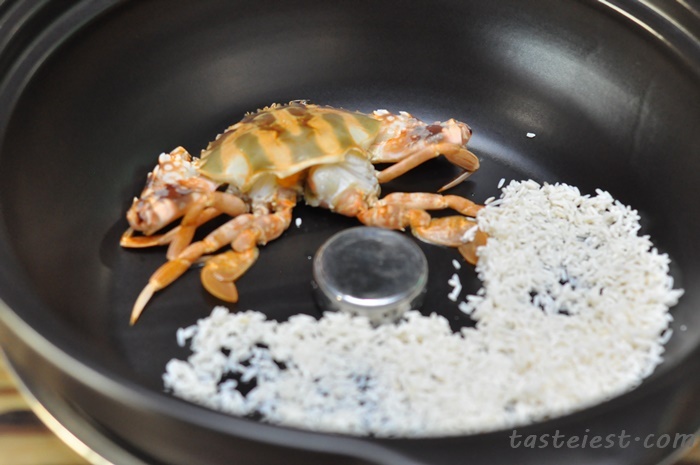 Crab and Porridge are place at the bottom where a all the fresh seafood essence will be collected and cook together to create the delicious porridge. 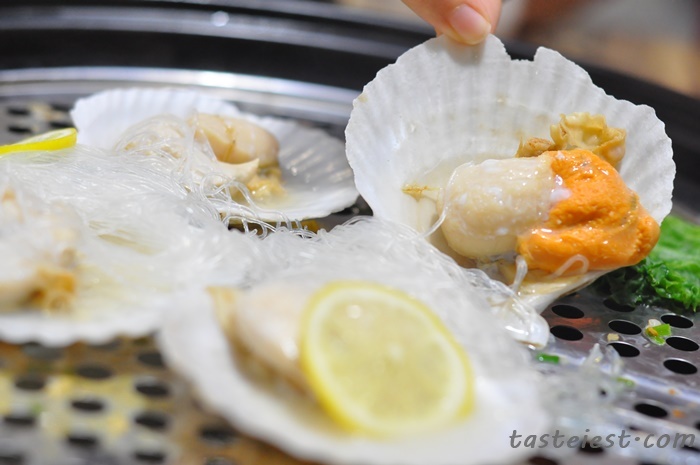 Scallop RM15/6pcs, big size scallop. 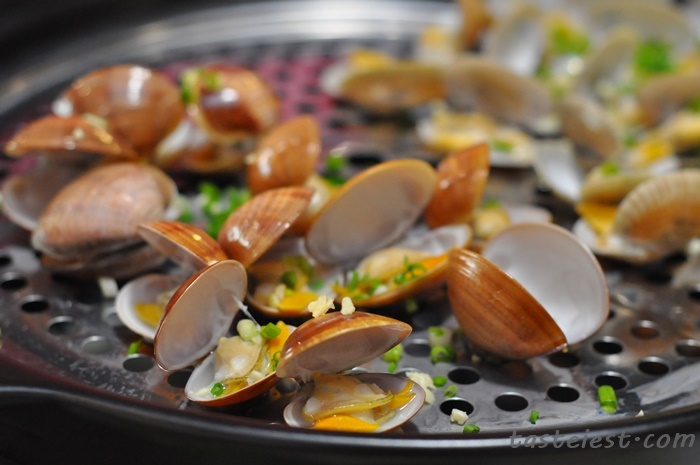 Clam RM6/200gram, this is a must order dishes. 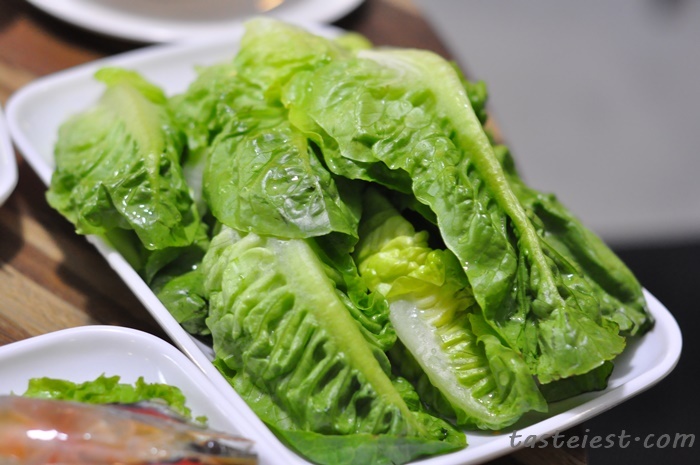 Very fresh and truly tasty. 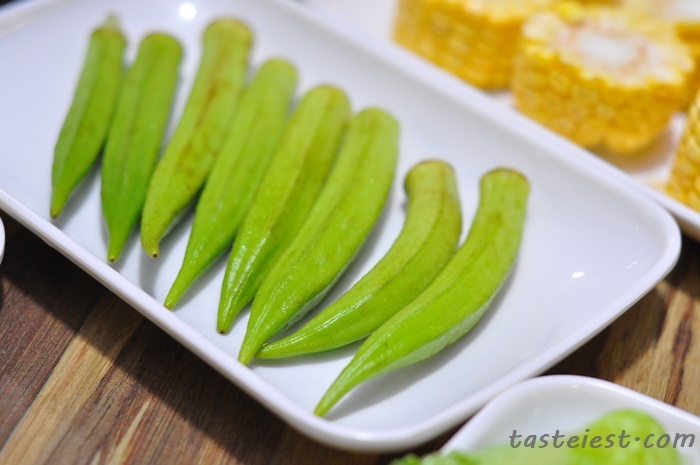 Lala RM8/200gram, same goes for Lala, it is so fresh and delicious. 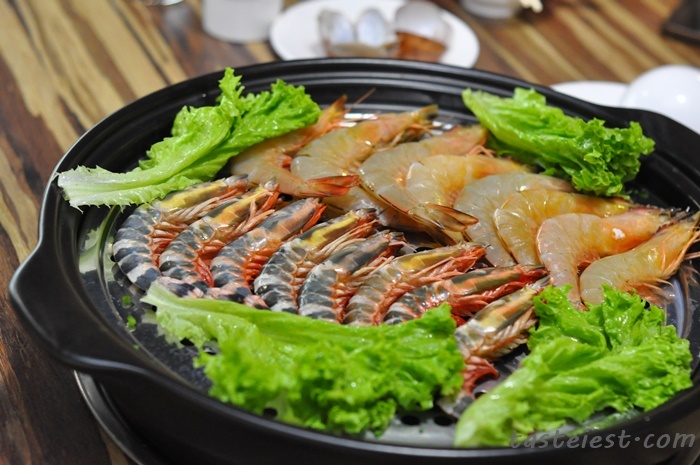 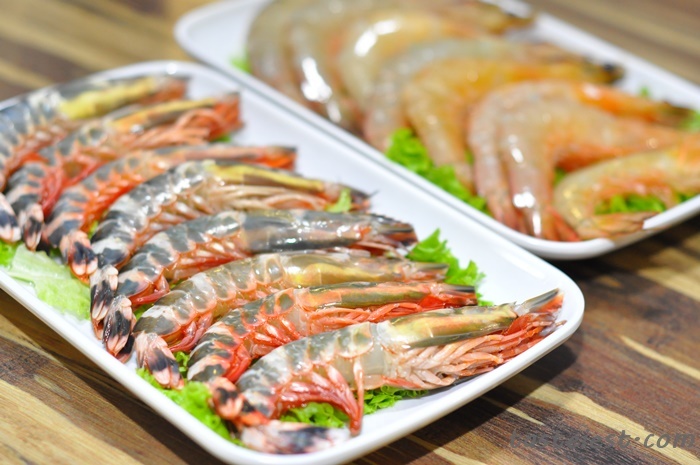 Steamed Prawn, prawn are big in size and fresh as well. 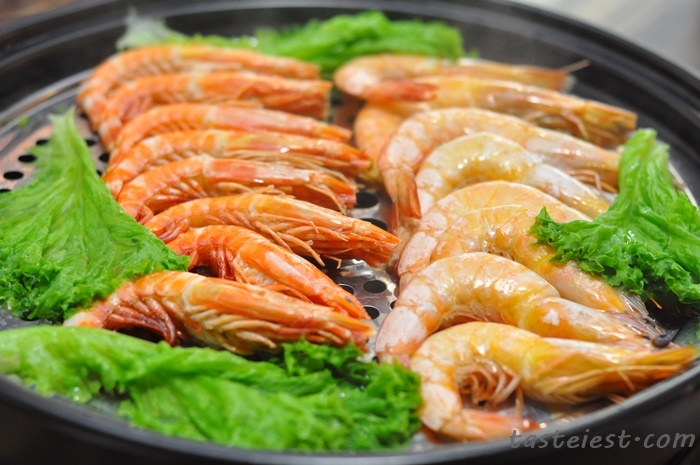 Prefer to eat without any dipping sauce to taste the original sweetness of prawn. 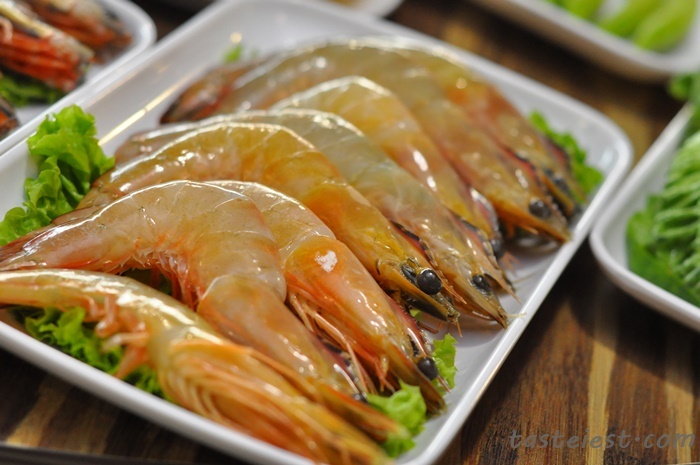 Nine Shrimp Prawn has better texture while King Prawn taste sweeter. 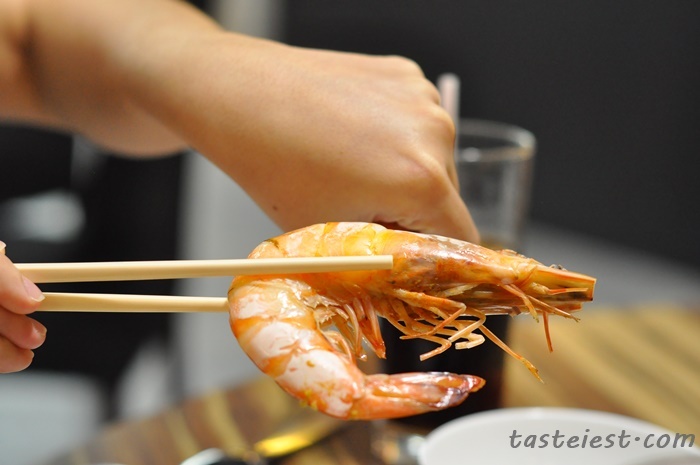 Size of King prawn are so big. 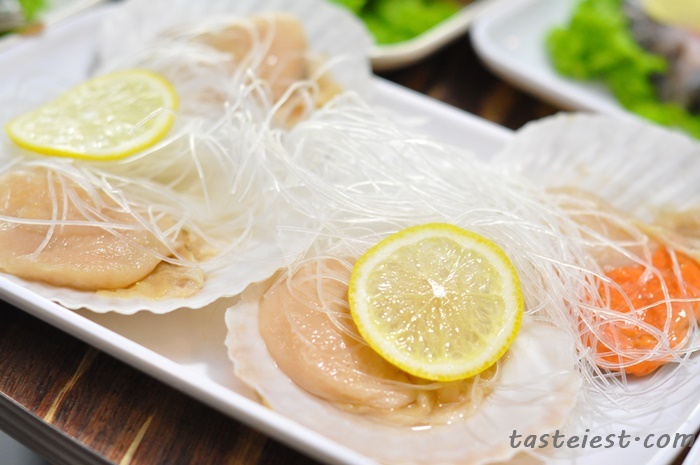 Steamed Scallop with a sliced of Lemon for even better flavor. 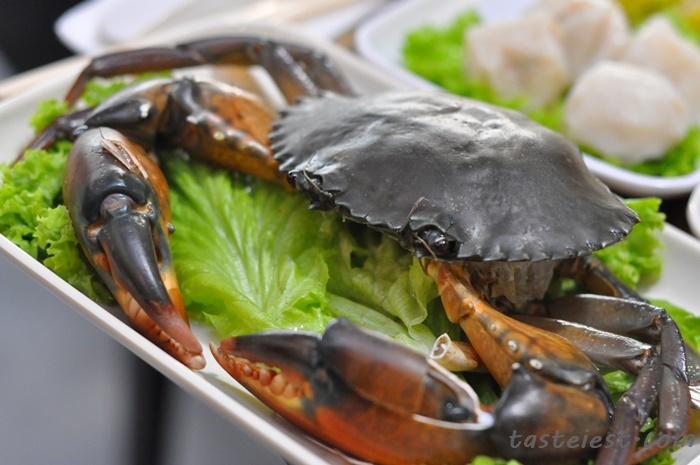 Steamed Crab is a must order, average size of crab for just RM28 each. 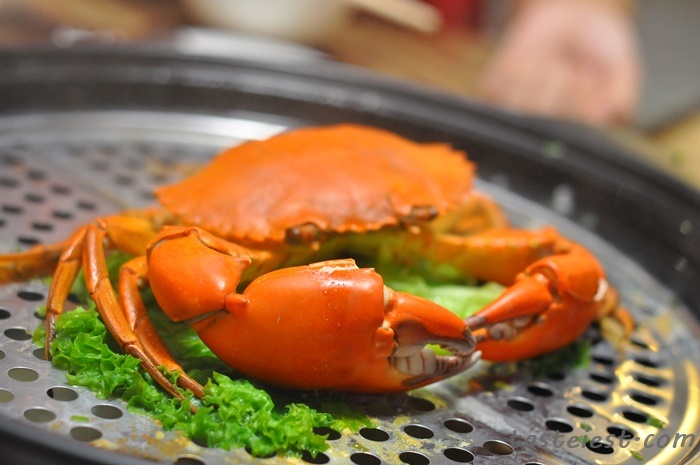 Crab sweetness are well contain within it meat while a little bit of essence drop into porridge that give a huge boost to flavor. 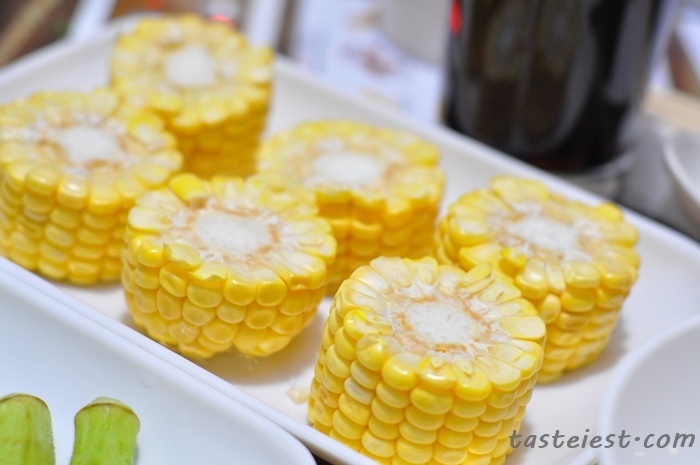 One more please! 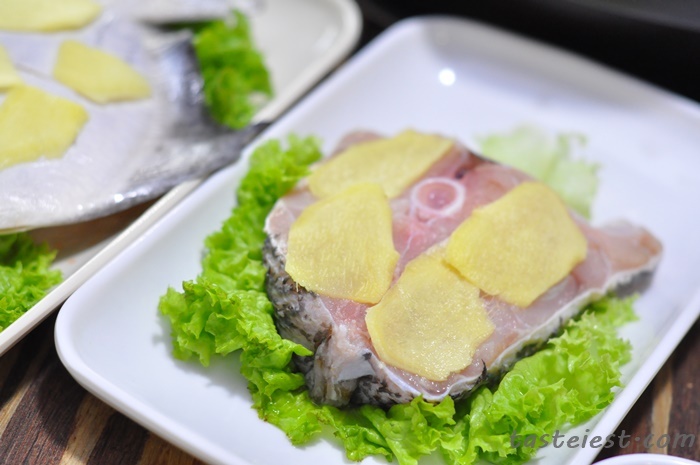 Chicken RM8/pcs are surprisingly tasty, we never expect non-marinated chicken can be so delicious. 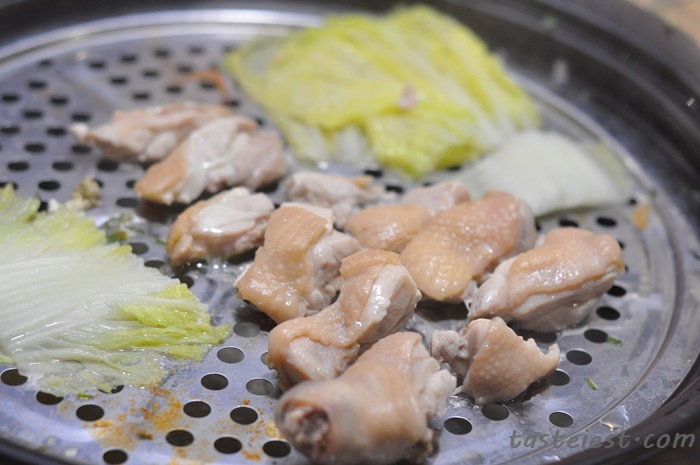 It is so juicy and smooth in texture, i would say i never eat chicken with this kind of sweetness and texture before. 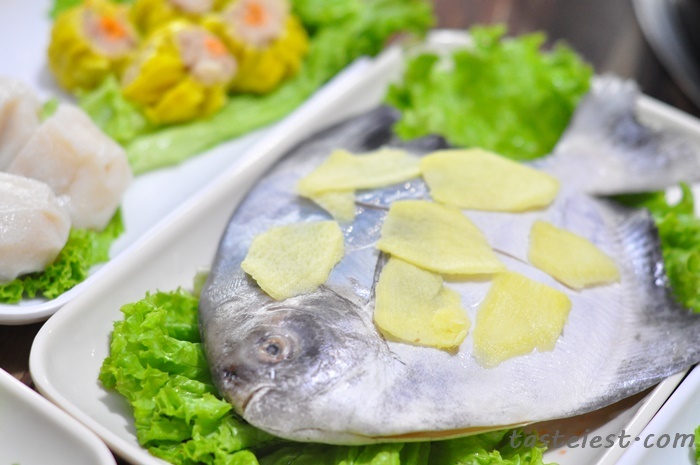 Steamed Fish with a slice of ginger, spring onion and fried garlic. 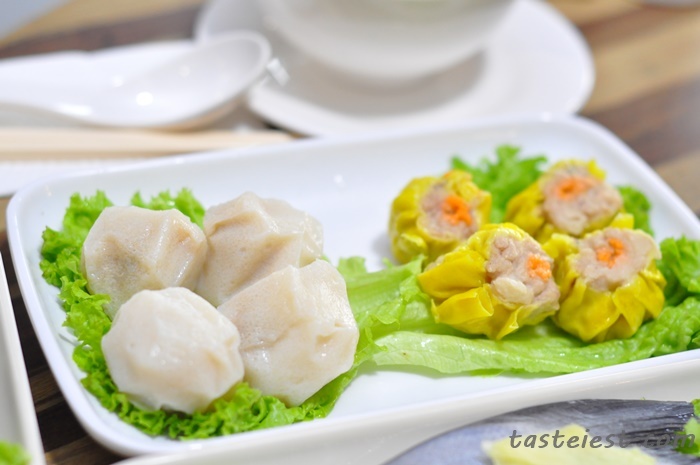 If you want to have some extra flavor you may add Lau Kan Ma sauce on top then steamed to perfection. 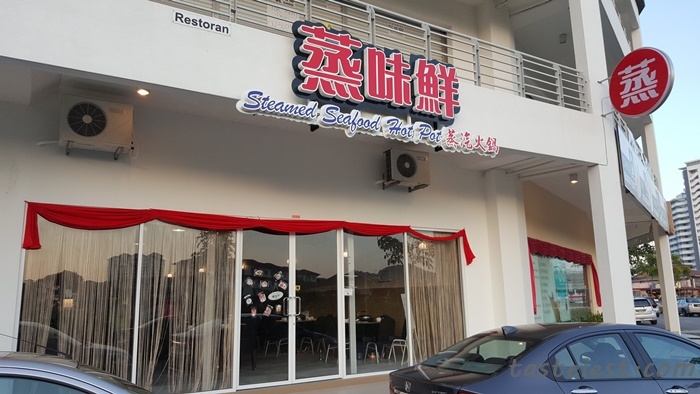 Finally our porridge are fill with seafood sweetness. 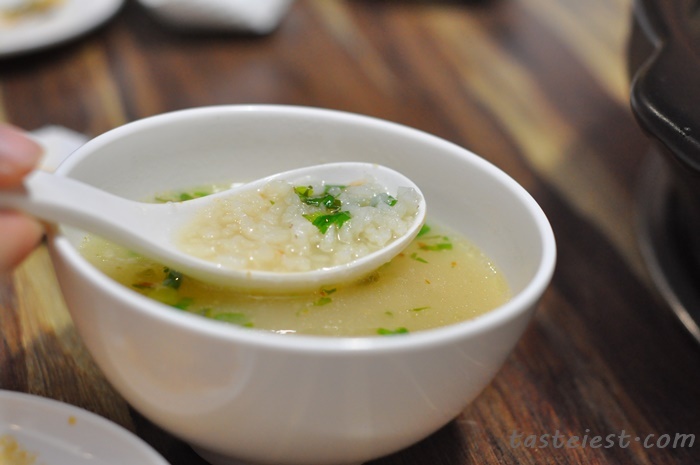 Our porridge have a little bit too much water due to long photo taking, if you can eat faster and have more seafood then the seafood will be extremely sweet.